Wait a minute. What year is this?! It doesn't matter when you have the all-new Review Redux! October is here, as is autumn! Before we delve deeper into this month featuring Halloween at its tail end, let's look back at the month that was September 2016 for a Review Round-Up! Oceanhorn: Monster of Uncharted Seas kicked things off with its console version, scoring an A- for its wonderful effort. Then, the 700th review of SuperPhillip Central, concluding the Summer of 700 promotion, was in the form of an all-new type of review, the Review Redux. Super Mario 3D Land was the first of this type of review, earning a fantastic A. A pair of racers then proceeded to follow Mario with Bears Can't Drift!? (C-) and Riptide GP: Renegade (B-). Mekorama delivered isometric puzzling fun with the ability to create levels, so it got a great B grade! Did I mention that game is totally free to download and play? 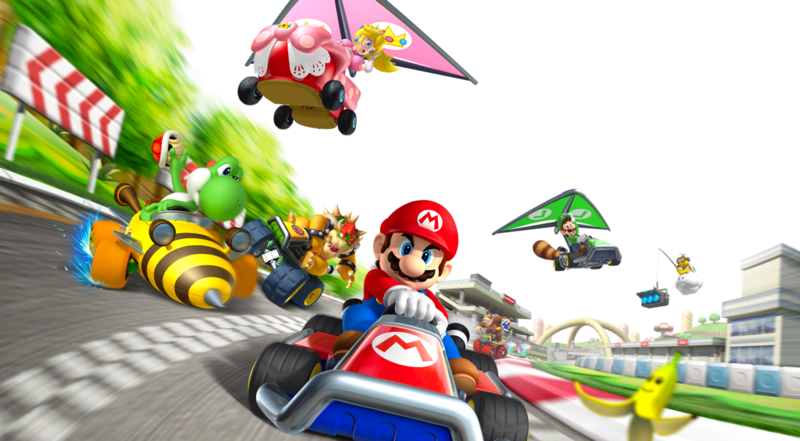 Finally, another Review Redux arrived, capping off this past month's reviews, with a return look at Mario Kart 7 (B+). October is going to excite with its review output. Such games that might be featured include Uncharted 4: A Thief's End, Paper Mario: Color Splash, Dragon Quest Builders, and some scary titles perfect for Halloween! The Review Redux also took us by land, sea, and air with a return look at Mario Kart 7!